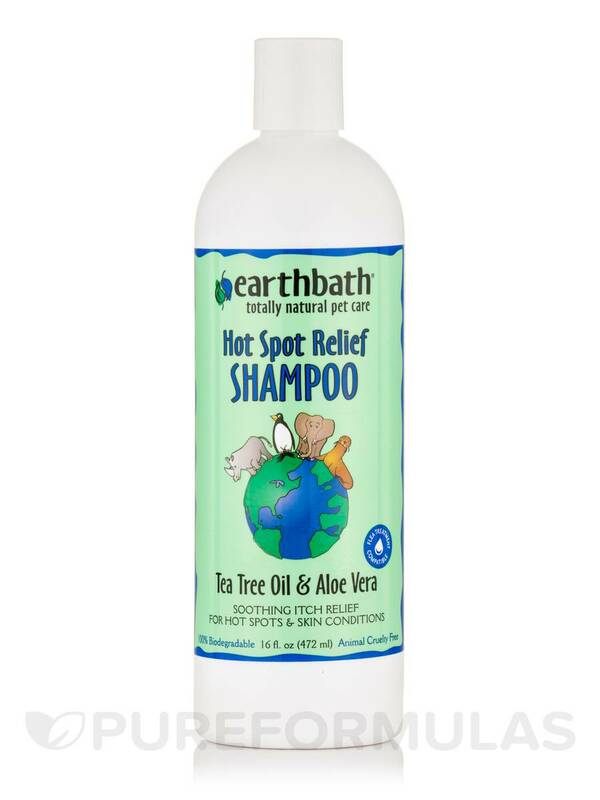 If your pet has hot spots and chews on them a lot, Hot Spot Relief Shampoo (Tea Tree Oil & Aloe Vera) by Earthbath will help with relief. Tea Tree Oil has long been recognized as an effective and beneficial ointment for skin irritations‚ insect bites and itching. Aloe vera is widely known as one of nature’s finest soothing emollients and comes from plants found in American deserts. 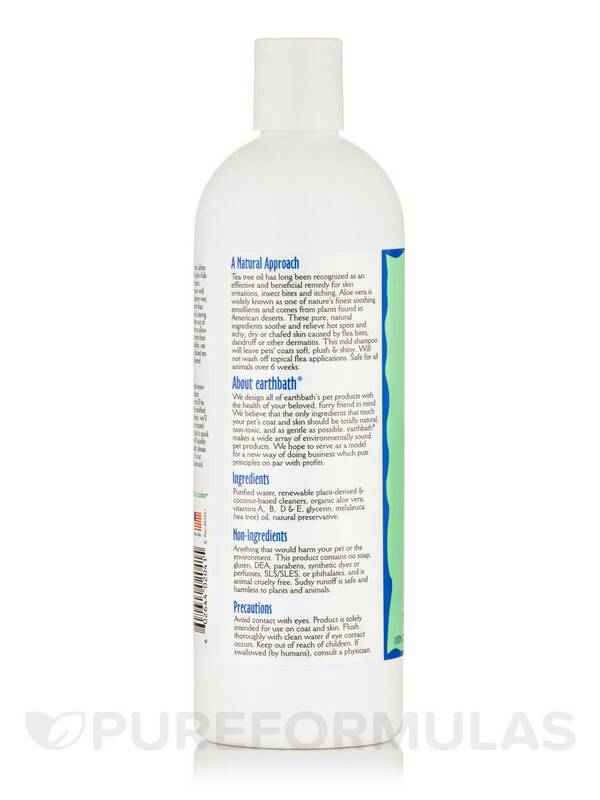 These pure‚ natural ingredients soothe and relieve hot spots and itchy‚ dried or chafed skin caused by flea bites‚ dandruff or other dermatitis. 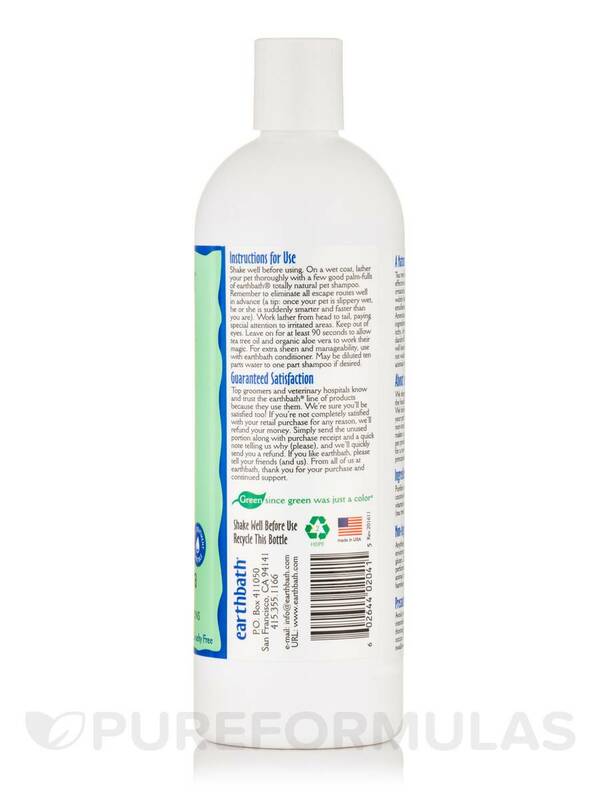 This mild shampoo will leave your pet’s coat soft‚ plush & shiny. Will not wash off topical flea applications. Safe for all animals over 6 weeks. Purified water‚ renewable plant-derived & coconut-based cleansers‚ aloe vera‚ vitamins A‚ B‚ D & E‚ glycerin‚ melaleuca (tea tree) oil‚ natural preservative. Non-Ingredients: Anything that would harm your pet or the environment. This product contains no soap‚ gluten‚ DEA‚ parabens‚ synthetic dyes or perfumes‚ SLS/SLES‚ phthalates‚ or enzymes and is animal cruelty free. Sudsy runoff is safe and harmless to plants and animals. Shake well before using. 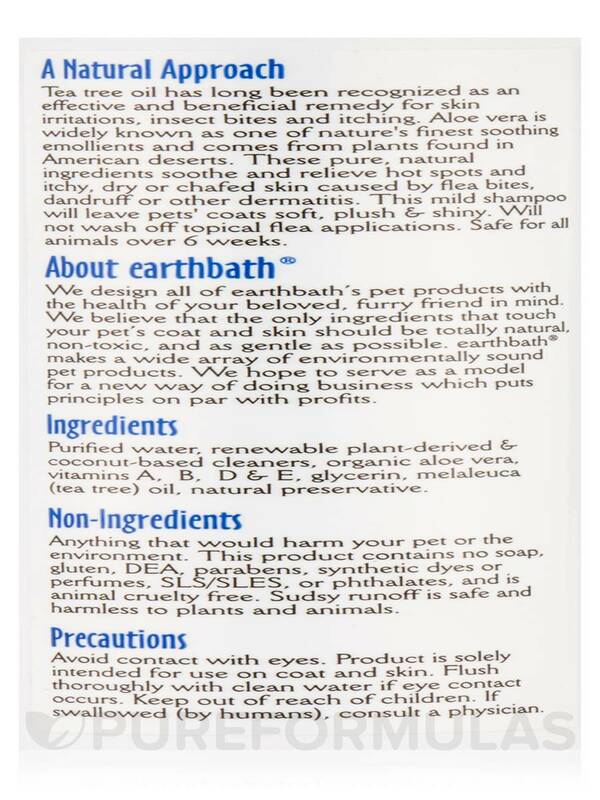 On a wet coat‚ lather your pet thoroughly with a few good palm-fulls of earthbath® totally natural pet shampoo. Remember to eliminate all escape routes well in advance (a tip: once your pet is slippery wet‚ he or she is suddenly smarter and faster than you are). Work lather from head to tail‚ paying special attention on irritated areas. Keep out of eyes. Leave on for at least 90 seconds to allow tea tree oil and organic aloe vera to work their magic. 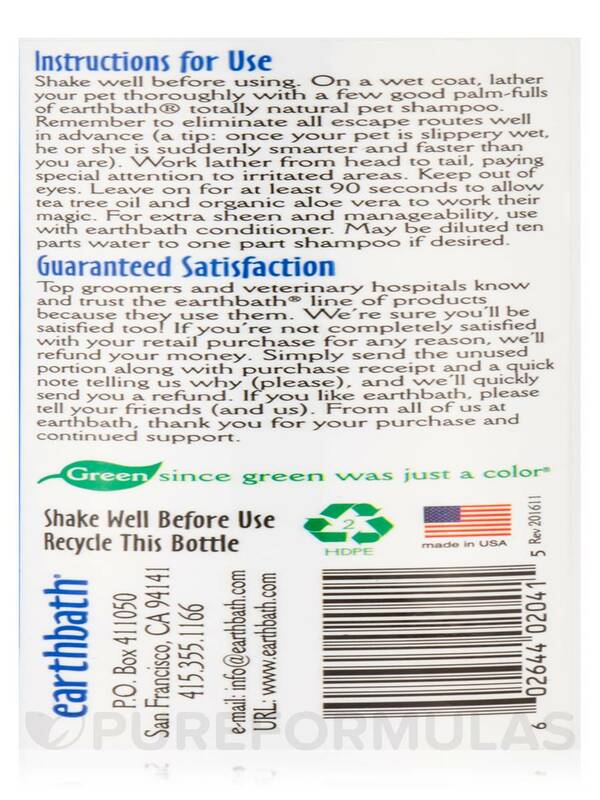 For extra sheen and manageability‚ use with earthbath conditioner. May be diluted ten parts water to one part shampoo if desired. Avoid contact with eyes. Flush thoroughly with clean water if eye contact occurs. Product is solely intended for use on coat and skin. If swallowed (by humans)‚ consult a physician. We have used Hot Spot Relief Shampoo by Earthbath on the dog and it has helped with his itchy dry skin.